Carolyn Ponder Ellender currently works in private practice specializing in play therapy with children and adolescents as well as providing family therapy and focusing on family and school related issues. She holds BS, M.Ed. and MSW degrees from Louisiana State University. 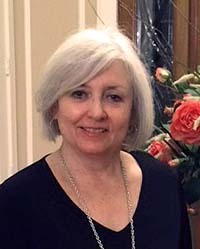 She has over fifty years of professional experience including working as a classroom teacher, an elementary school counselor, co-owner of a tutoring business, Director of The Parenting Center of Family Service of Great Baton Rouge, as well as having clinical practices in different settings - the Family Service Agency, child/psychiatrist office and currently shares an office practice with four other therapists. In addition, she has served as a supervisor for student interns and currently with therapists working on the Registered Play Therapy certification or licensure as a social worker. Carolyn has presented parenting education classes for over four decades including local television appearances, radio broadcasts, and writing local newspaper / magazine articles on various parenting articles. She has held numerous leadership positions in LAPT including having served two terms as President and was recognized with the LAPT Lifetime Achievement Award in 2015. In 2018, she was voted by Baton Rouge Parents Magazine readers as the year's favorite children's therapist in the Baton Rouge area. Carolyn has been married since 1968, has three daughters, five grandsons and one granddaughter.